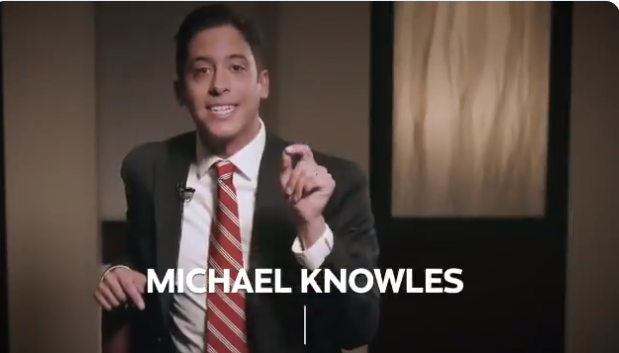 UMKC leftists (University of Missouri Kansas City) shouted down Conservative speaker Michael Knowles on April 11, and one of them sprayed him in the face with something that smelled like bleach. Leftist students do not want to be challenged to think. They refuse to listen to anyone who disagrees with them, and their college administration justified their violence. They have built Conservatives into an enemy to be destroyed. To add insult to injury, instead of an apology for being attacked, the University administration called him an “extremist” whose views were not in line with “diversity and inclusion.” Basically they called him a bigot. The “student group” was the Conservative Young Americans Foundation (YAF). The university and the leftists want every vestige of dissent against their radical agenda to be silenced. They are willing to enable the atmosphere of violence in order to do it. Knowles is certainly not the only one who has endured the shoutdowns and attacks…Turning Point members, Candace Owens, Milo Yiannapolous, Ben Shapiro, you name it, anyone with a Conservative viewpoint has been shamelessly attacked, or prevented from speaking entirely on college campuses. At Berkeley, students even rioted. We all know where this will lead. With 90% or more of America’s higher education institutions in the grip of the left, and actively silencing anything that challenges the student to think critically, America is on the edge of a giant cliff.